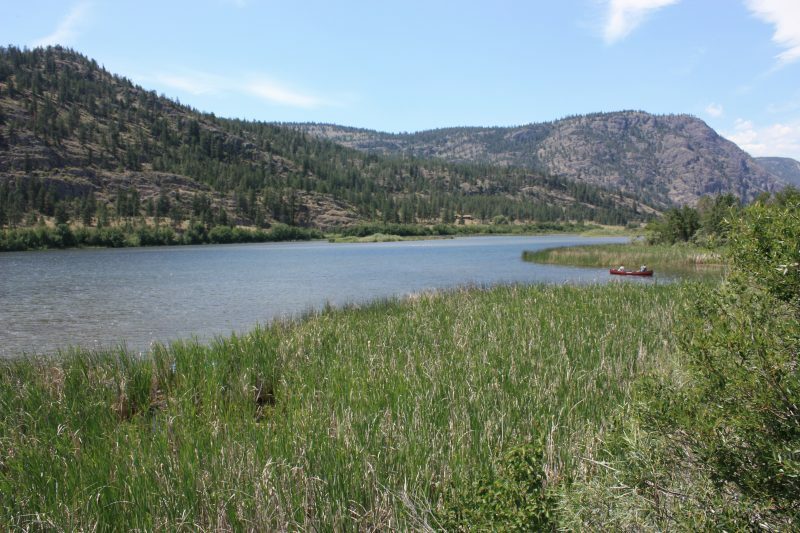 This is the Okanagan’s Lac Vaseux (Muddy Lake) with canoe. James Evans was a Methodist missionary who set up the mission at Norway House as the result of a conversation with Governor George Simpson. According to the Dictionary of Canadian Biography, Evans met Governor Simpson on Lake Superior in May 1839, and convinced him that Methodist missionaries would not disrupt the HBC’s business in the interior. With Simpson’s permission, four missionaries were placed at strategic points in the northwest: George Barnley at Moose Factory; William Mason at Rainy Lake; Robert Terrill Rundle at Edmonton House; and James Evans at Norway House. Reverend Evans arrived at Norway House in August 1840. Evans’ conduct apparently caused some difficulties for the HBC, as he criticized the company’s policies and practices, including labour on the Sabbath. He was so troublesome that in December 1842 Simpson ordered Donald Ross, of Norway House, to not allow Evans’ presence at the company’s Council meetings. Evans was also asked to move his family from the fort to Rossville, to reduce conflict inside the post. 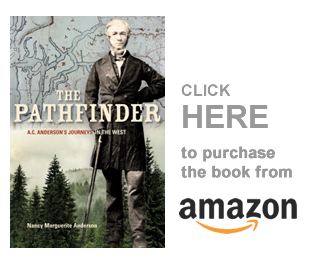 Other problems interfered with Ross’s success: in 1844 while on a canoe trip to the Athabasca country, a gun Evans held accidentally discharged and killed his interpreter. His character was affected by the stress of this incident: his hostility toward the company worsened, and his health deteriorated. He was accused of sexual play with the Native girls of his district, but his assistant, William Mason, tested the accusations in a church trial set up under Wesleyan discipline. He was found not guilty, but the HBC wanted him removed and so he was. William Mason took his place in charge of the Rossville Mission. On the 30th [June] we reached Norway House — the place where I had passed my first winter in the Indian country; and here I found Mrs. Ross, who looks upon me as one of the family. On the same evening Mr. [Donald] Ross arrived from Red River accompanied by the Rev. Mr. Evans and his daughter…. The Rev. Mr. Evans, who is chief superintendent of the Methodist Mission, resides with his family at Norway House, and has established a School there for the purpose of educating the Indians; but it has not yet been long enough established to enable one to predict respecting its success. Thomas Lowe mentions Reverend Mason in his journal of 1847: “Got to the Sea Carrying Place in the afternoon, a little above which we met the Revd Mr. Mason in a canoe on his way to YF.” It appears that Evans is already gone from Norway House, and that there will be no further mention of him in these journals. But I wonder what happened to his canoe? This afternoon about 3 o’clock Messrs [John] Rowand, [John Edward] Harriott, and myself started in a light boat for York Factory, calling in passing on Mr. Mason at Rossville. Encamped a short distance above the Sea Carrying Place. I saw here the novel sight of a tin canoe which Mr. E., the missionary, had had made by way of experiment. It was the size of a regular North canoe and calculated to carry eight or ten people. It was built at York Factory the autumn before, and Mr. E. took passage in it to Norway House but finding it in its first size too unwieldy, it was reduced to its present size. I do not think, however, that it could exceed a birch bark canoe either in speed or buoyancy. The autumn before is, I presume, 1842, as this gentleman was at Norway House in summer 1843. North canoes are generally about twenty five feet long, but length can vary a little. I presume that the writer saw the canoe after it was shortened, although that is not clear either. Although the HBC men usually traveled the river in York Boats, they did on occasion use canoes — North canoes. The men at York Factory would have told Evans his canoe was too long for the river, but he chose to ignore them, I suppose. I wonder what happened to the canoe? Did Reverend Evans leave it behind him when he left the territory with his family, or did he abandon it at York Factory, or at Lachine, on his way to London? Would the canoe have been cut up for its tin, or does it still survive? Was it used until it was so battered it broke? Did it make its way to Canada’s Canoe Museum? Now wouldn’t that be wonderful! This is why story telling is so much fun. Tin was readily available (in London, and probably at York Factory), and the HBC used to ship books and delicate items in tin boxes. In about 1844, Alexander Caulfield Anderson had an accordion shipped from London, that was shipped in a tin box. So this tin canoe is not important to the overall history of Canada, nor even of Norway House or the Rossville Mission: but it awakens the curiosity. It is unique, and a little bit eccentric. It arouses the interest. It is inventive; it creates other stories that might be far more important than this one. It is a small part of the overall story of Canada. Copyright, Nancy Marguerite Anderson, 2018. All rights reserved (but if you have the answer, let me know). David Thompson was asked to use a tin canoe for his survey from Georgian Bay to the Ottawa River in 1837. He declined, saying the likelihood of his finding a tin mine enroute to repair the canoe was remote at best. He preferred his wood canoe that could be repaired almost anywhere along the route. How interesting. So it would have come from Lachine, I presume. I wonder how many made it into the interior, and stayed there. Thanks, Sean! One biography of Evans alludes to the canoe in its title: “Travels in the Shining Island: The Story of James Evans and the invention of the Cree Syllabary Alphabet,” by Roger Burford Mason, (Toronto: Natural Heritage/Natural History, 1996). “The Indians, on the other hand, were quick to see its advantages. They were immediately impressed when Evans demonstrated that, while his tin canoe could comfortably transport six men, only two were needed to carry it during portages. In addition to this: A few years ago my sister went to Churchill to see the polar bears, and on her return told me there is a Cree syllabus hanging on the wall of the church up there. I wonder if it is his?